Shaking off the dust, Poetry has since ceased to be an entertainment pill alone. Poetry has since become a weapon of mass instruction, a sword for social change and political correctness. The Zimbabwe We Want Poetry Campaign will not sleep with acid in the mouth, Poets will always spit the word vitriol to burn political systems that stink. We were party of the processes and mobilization that led to the demise of the Mugabe regime through WORDSPEARS. We raise our voices so that vile, vice, crime and corruption STOP. A special mention to Michael Graves for his insightful Article on Poetry on Social Change, thank you all contributing poets. Together We Rise – Mbizo Chirasha. As it outs the grief that lies within the soul. 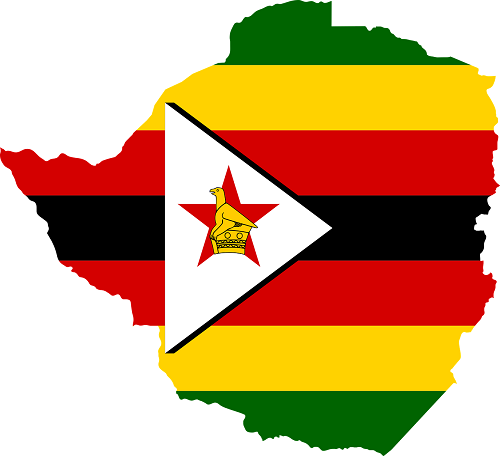 Would post in the domains of Zimbabwe…. Caused social dilemmas. Victimised by my own. Power to the people is Democracy was, yet be. Even not to condemn those now with the mighty. It is time brother you show off what you gut. To die for if this riffle outs blanks in the battle. Vengeance to awaken the ashes of liberation. Imagine a world without anybody! What good is it than to be dead? Imagine a world without labourers? How much are you investing into machines? Imagine a World without carpenters! Imagine a World without road side hawkers! Imagine a World without butchers! Imagine a World without a cobbler. When you have a slight tear in your expensive shoe, you do away with it. there would be no respect, no servant, no office. Who’s going to help out the other? What time would you get to your destination? Imagine a world without security personnel! How much anarchy have you handled? Imagine a world without bankers! A world Without Medical personnel! A world Without leaders of all kinds!! A world Without teachers in all levels!! A world Without manufacturer of all things!! A world Without law makers! Imagine a world without you! And imagine a world without us. What can you see in this world? What can you say of this world? It’s a world I can’t live in. It’s a world that has returned to its original state “form and void”. But together, we all must!!!!! Is where my father’s fat cheque is? Where is the food for our table? Where is the love that my sister begs for all day? Where have all the real people gone to? You have no car to lure beautiful ladies. You have no mansion to hide from God when committing adultery. to suspend his fire when it’s your turn to catch hell. What a pity to be poor! Did you try at all ? Author’s Note: Though this piece was originally written about poetry, its premise applies to all forms of art and the artists that power them. We are all in an unprecedented position to influence not only our culture, but the combined cultures of the planet. And who better to do it? Politicians have been wearing this hat for millennia and have driven themselves as a group into a generally distrusted and despised condition of existence. It is only fitting that we, as artists, bypass and handle. Not as those who would govern the culture, but as those who illustrate the direction that a culture should properly take in its evolution from the existing scene to a more ideal scene, and provide effective encouragement and motivation for the achievement of that evolution. As artists, it’s our job and should be our united. Great stuff. Keep the flame burning.